This page is being reorganized into smaller pages for each artist. We hope you will welcome the occasional resulting chaos as much as we do. This listing contains images found on this server (including those in WUARCHIVE) and relevant links to other web sites. Where possible thumbnails have been created of the full-size images. Click on these or the text beside them to open a picture of the full work. 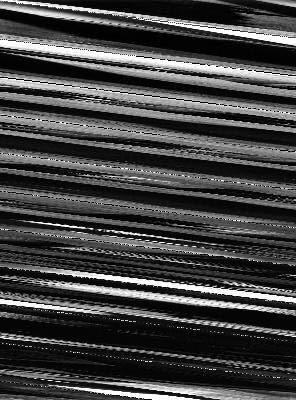 Links with an asterix (*) indicate the site carries written information about the artist. Our purpose in presenting a small collection of the many paintings, objects and collages created by the following artists associated with the Surrealist Movement is as much an exercise in historical education as a means of presenting what can and has been attained through the practice and Execution of Surrealism. Archive of pictures from 'La citta magica - Arte surreale e fantastica a Torrino' (1979). *Works by Surrealist/Metaphysical artist Joseph Cusimano. *Collage artist Ray Johnson, at The Panscan Home Page. Wine Art.. an amusingly odd collection of wine labels from Chateau Mouton Rothschild. 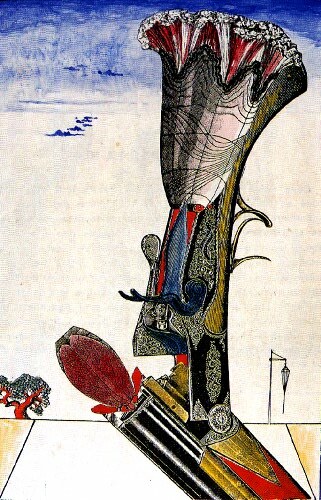 Designs by many noted Surrealists. 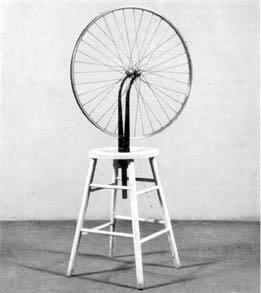 Also of interest and intrigue..
* Images, sound clips and more in the Duchamp Pages at Fresh Window 3000. Large Glass (The Bride Stripped Bare By Her Bachelors Even) at the Philadelphia Museum of Art. *Notes on the Large Glass, at Tony Smith's Home Page. Picture of picture of Marcel DuChamp from the Smithsonian Archives. The Graminaceaous Bicycle, 1921 (77K). Above the Clouds Midnight Passes, 1920 (30K). Accomplishments and Usefulness, 1922 (58K). Une Semaine De Bonte, 1934. at the Australian National University. *The Tree of Life,1928 at the High Museum of Art. 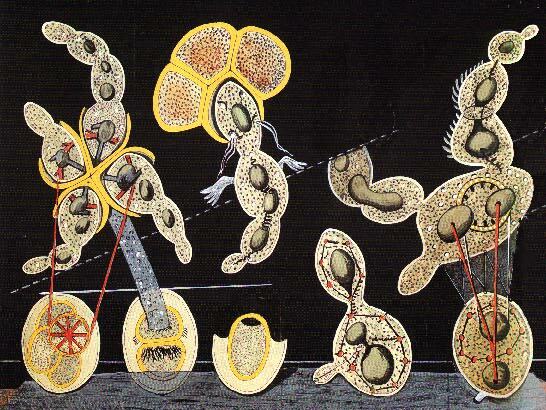 Surreal Art I: Max Ernst, at The Nihil Page. Edtaonisl at Art Institute (Chicago) Tour. symbole, 1950 au Musée Pierre André Benoit. (also in English). * Man Ray at LeWeb Museum. 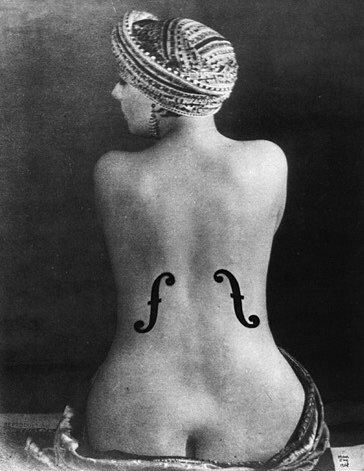 * A Look Back at Man Ray and the Surrealists, in the March Editorial of The Muse. Some of Yves Tanguy's Works at Coil Magazine. *Tanning at Le Web Museum. Eine Klein Natchmuzik on SUNET. 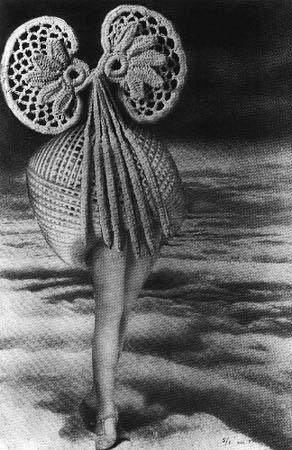 *Czechoslovakian Surrealist Marie Toyen. Information in English. Cadavres Exquisi!The fruits of SYNERGY:CORPSE. * The Genius of Marc Chagall at The ARTA Gallery, Jerusalem. * Chagall Windows, information about Marc Chagall and the many works he presented in the medium of stained glass. de Chirico at Le WebMuseum. 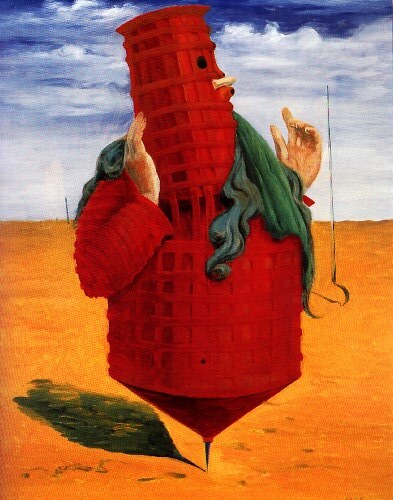 Archive of de Chirico images at NYU. *Kandinsky Image Archive 5 pictures listed. * Kandinsky Images at Le WebLouvre. French Impressionist predating the Surrealist movement. Nonetheless, many of his hauting images have a certain dreamy quality worthy of Surrealist interpretation.